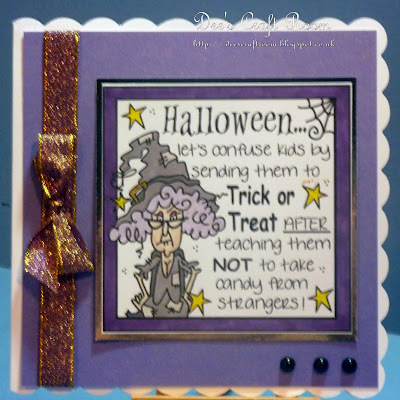 The card I have to share with you today is a 'Frame It' image from Bugaboo Digi Stamps featuring Stella called 'Halloween Strangers'. This image made me smile because for one night a year we throw out all our rules and encourage our children to do just that, in a friendly, fun spirit that encourages neighbourhood togetherness. Why can't we be like it the rest of the year? 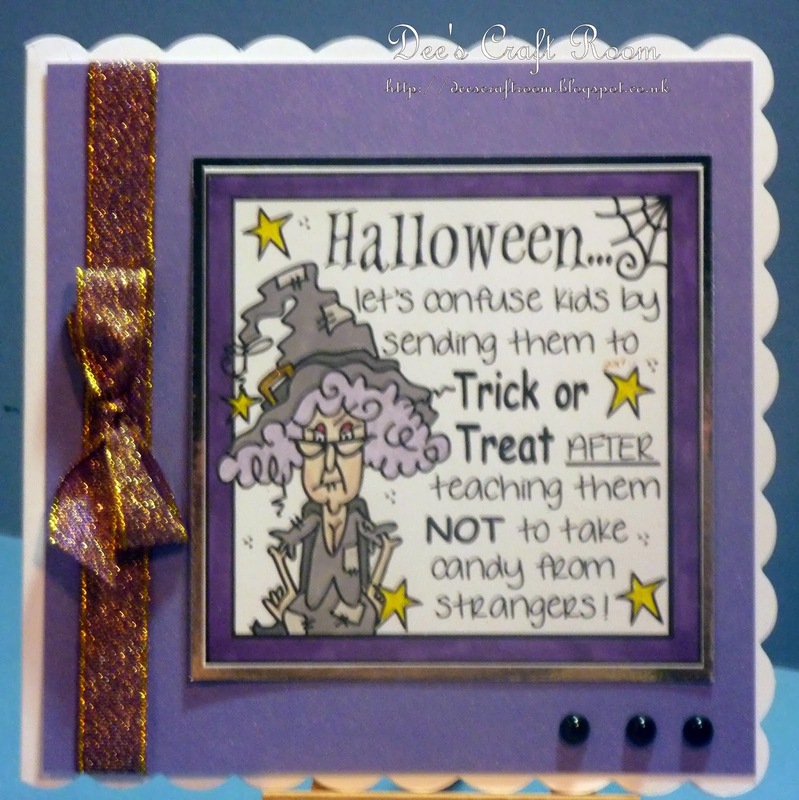 I coloured the image with Promarkers and mounted it on silver mirri and purple pearlised card. The ribbon and flat backed pearls came from my stash.